Well, now that you have digested all of my Mad Men analysis for one season, I am sure you are looking for a break for some actual intelligent and insightful prose. Here to give that insight to you in the second installment of his weekly column (which is now titled In the Heart of the Heart of My Bookshelf) , is Mr. Alex Ramsdell. Even as a kid, I knew that the guy singing "Brown Eyed Girl" was the man. I was hearing Morrison on Polydor's Best Of (with that Elvis-styled microphone on the front) that everybody’s parents had. But over time I started to realize that this validated hit-list is more relevant to the gift-giving season than it is to Morrison. It is a fine collection of individual songs, but the project it undertakes is impossible. It shows us the industry’s “artist” as an icon and so forces a disconnect between the artist and his work. Morrison is an album artist, or maybe even a phase artist. Prismatic treatment diminishes the depth of exploration in his music, the fact that he is never satisfied and yet still has such a masterful command of the album form. The Best Of is then a kind of tourism of a musical mind which cuts the continent of his poetic vision down to a list of capitals. “Here: this is the most important,” it says to us 20 or so times. But what is so distinct and lasting about Morrison is not the list of hits that gained him the attention of record labels and subsequent fame, but the texture of the career that envelops them. What is essential is the linked experiences and the visible horizon of the poet’s life that we inevitably come up against in submitting to his dedication to exploration. 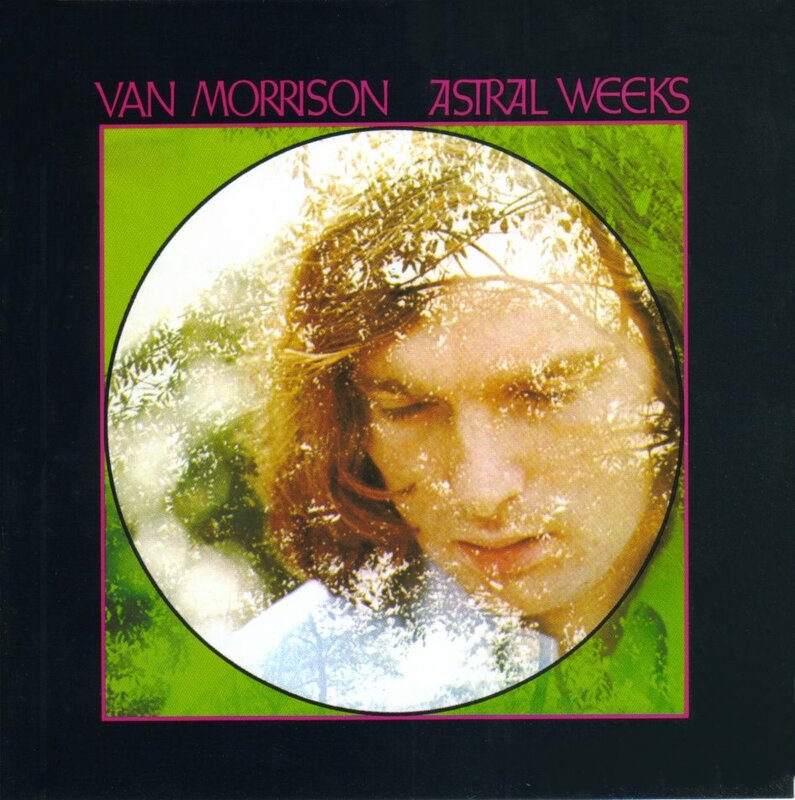 Astral Weeks uncovers a possibility in music that remains part of Morrison’s mission even today. It operates largely by intuition and in doing so, captures his vision in a kind of unplanned dark. The vision is caught, moment by moment, via the beacon light of Morrison’s voice. It is a limited kind of chance as a mode of musicality. This meant hiring Berklee musicians and giving them no instructions except to “go ahead and play exactly what he felt”, as bassist Jayer Berliner would later remember, letting them ultimately follow each other in following Morrison. And in these songs, the voice becomes the thing which holds the entire movement together. Its impression extends far beyond the words and, like the wail of a banshee, becomes the justification and the very body of the soul in search of salvation. If memory is fragmented, if it is mystical and involved in the ends of human life that exist beyond our experience of each present moment, then the notion that the narrative in Astral Weeks is fragmented holds, although it is not fragmented in an incomplete or an affected sense. It tells the story of Belfast and its people through the eyes of the poet who is rapt in memory: a city dying, loving, leaving, changing. The fragmentation exists in the lyrics—and here begins my chief observation—but the music sublimates the album’s crucial activity to a place where words cannot reach: the rhythm section. This is what grounds the fragmented content in experience, gives it truth, and so lets us receive Morrison’s experience as somehow more true than fact. The enactment of dwelling—walking with something possessing us: Madame George, a dying friend, a better place; going up to Cyprus Avenue, standing on the corner, or departing for somewhere else; meeting the edge of the Irish Sea to see yourself—this is all concretely and wordlessly rooted in the rhythm section. There is a part of the world that exists in us and yet is outside of thought, though this very part conditions thought. It is this other life of the body that we discover only in separation, which gives Astral Weeks its coherence. You could call it pace, but I do not mean to say that the tempo of each song is somehow a literal equivalent to walking, or to standing on the corner. No, the horizontal movement of the rhythm—often realized in equally emphasized eighth notes, and other times mystified by a free-form meter—is the body which completes the metaphor for the practicalities of being present in a city. If Astral Weeks is about intersecting avenues and intersecting lives in its city, it responsibly transmits this by grounding the album in its most basic element: the movement of legs. It goes unsaid but is there all the time.